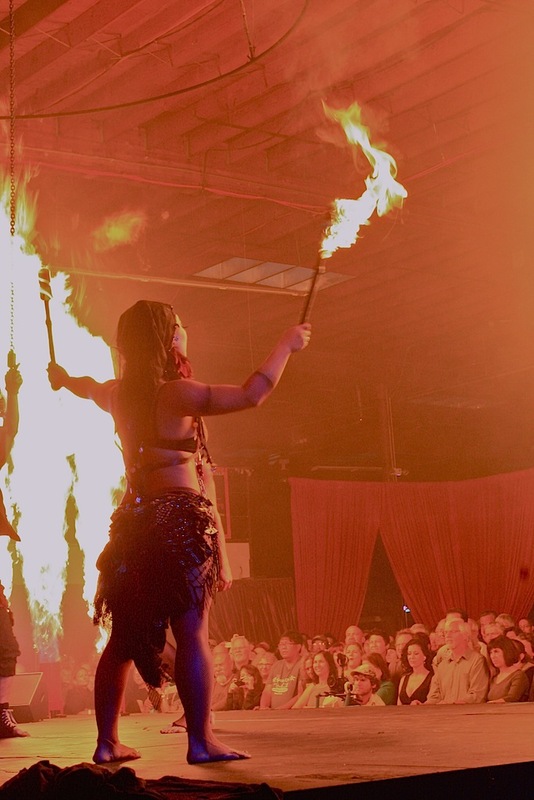 Saturday we went to the Fire Circus at the Crucible in West Oakland. The Lucent Dossier Experience was performing. Think Cirque du Soleil meets pyromania. It was odd, bizarre, and exciting to watch, especially with explosions of fire coming at you from every direction. Ringling Bros. would not know what to make of it. Was it warm there? Looks exciting. That would have been neat to see. I hate seeing "fire" and "circus" in the same sentence. Sometime in the 1940s, there was a huge circus fire in Hartford and 100+ people were killed. The fire took place four decades before I came to Hartford, but it still finds its way into the newspapers every now and then. Love it. You really got the intensity. People who like to play with fire need to be watched carefully. 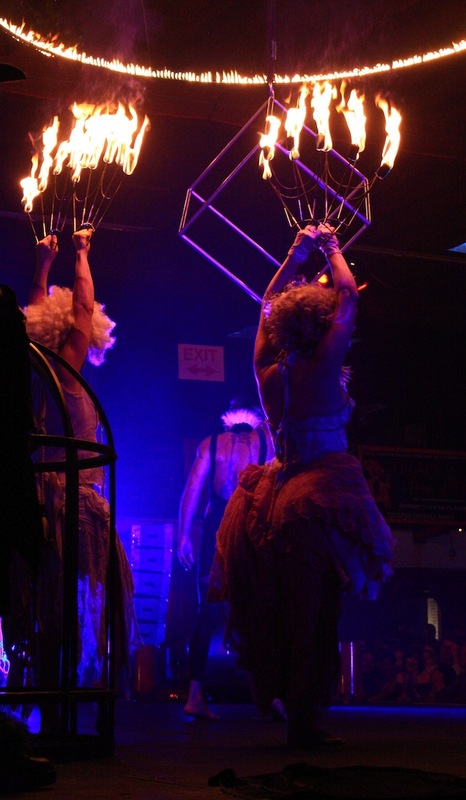 Your photos of the fire circus are terrific. Fire is my least favorite of the elements, so I'm not sure you'd get me out to see such a pyromaniac event.